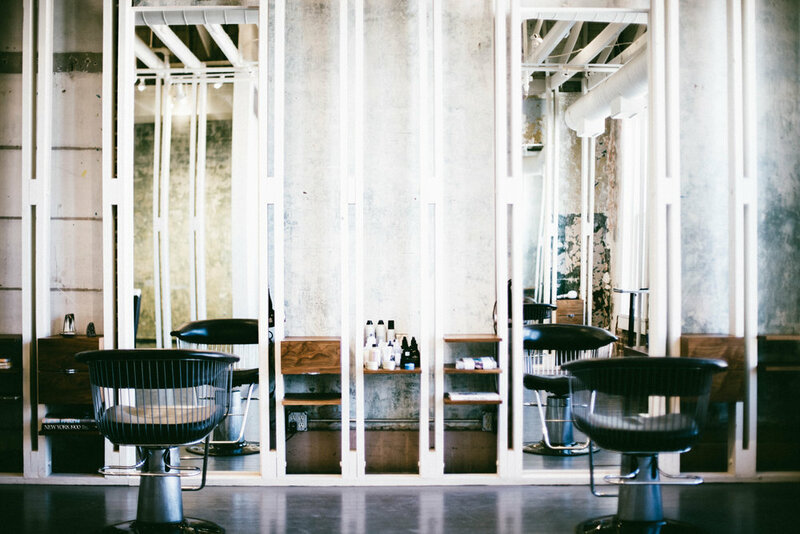 The First Ward Hair Studio is an oasis in the middle of downtown Tulsa, Oklahoma, where owners James and Jessica treat you to a day of great music, conversation, drinks, art, and relaxation. And at the end of the day you would leave with a new look that made you feel even more like yourself than you realized was possible. Have you ever heard that writing down your dreams makes them come true? Well, that's what we did during one dreamy vacation to India in 2012. We let our minds wander and imagine the biggest possibilities, then asked ourselves, "Where do we begin?" With our background, it was obvious that we would start with a salon. The universe heard us, and had our dream location ready to go in Tulsa as soon as we returned. There were only two minor problems. One, we didn't live there at the time. Two, we had not planned to open a business. We didn't have to think about it too much before deciding to take that first leap of faith. If you were wondering exactly what we were dreaming, we wanted to build a beautiful, sparsely decorated oasis in the middle of the city. A place where we could host our closest friends to a day of inspiration that would include great music, conversation, drinks, food, art, dancing, relaxation, and meditation. And at the end of the day you would leave with a new look that made you feel even more like yourself than you realized was possible. Years later, The First Ward has grown beyond our expectations. The salon now has an expertly curated team that we consider to be family. Everyday we meet new clients that inspire us to push even further. Through challenging ourselves internally, working with a progressive-minded community of hairdressers across the globe, traveling and education, we continue to grow. We do this for ourselves and we do it for you because we genuinely love exceeding your expectations.